NASA’s pushing the boundaries of flight with help from with Lockheed Martin. NASA’s Quiet Supersonic Transport (QueSST) — an experimental X-plane the organization has been developing with Lockheed Martin to decrease the strength of sonic booms — has passed an initial design review. It flew successfully in an 2.5-meter by 2-meter (eight-foot by six-foot) supersonic wind tunnel at NASA’s Glenn Research Center. The next stages in the plan are to hire a contractor to build the piloted, single-engine plane, with initial flight testing ideally occurring in 2021. 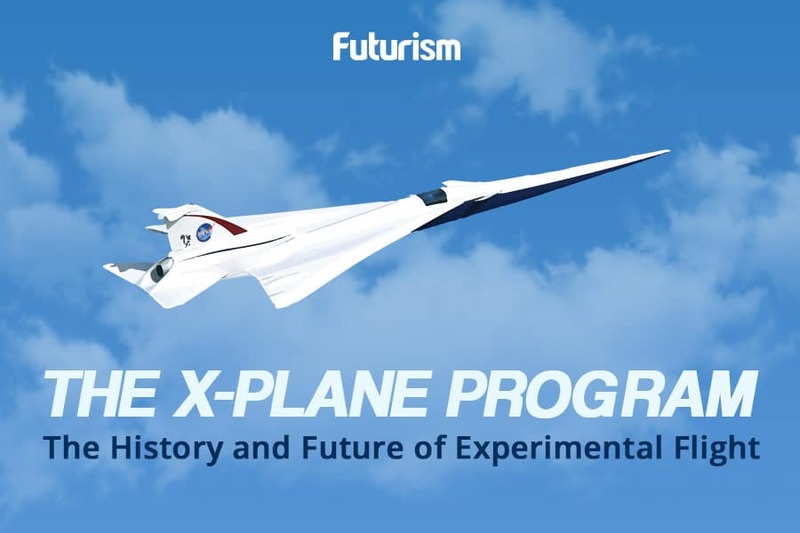 The next test will focus on ascertaining the consequences the atmosphere has on supersonic speed and quantifying the effect the plane will have on people on the ground through a combination of measurement and survey findings. NASA’s experimental plane is one of many test aircraft that are looking to push the boundaries of aviation in different directions. In terms of pure speed, Lockhead Martin has confirmed that the SR-72 — reportedly capable of mach 6 speeds — will be made for surveillance purposes, while British-based Skylon is planning to use a 5.4 mach plane to deliver payloads into space. Microsoft Co-Founder Paul Allen is also looking to apply planes to cosmic ends, but has developed the biggest plane ever rather than one of the fastest. After testing is complete, the Stratolaunch will be used to ferry spacecraft into orbit where they will require less energy to reach space when compared to a ground take off. Eviation Aircraft will target the green aviation industry by producing an all-electric prototype which could be the first stage in decreasing the carbon footprint of the aircraft industry. The plane is produces zero-emissions and is capable of flying 965 km/h (600 mph).